The head of the Serbian government’s Kosovo office, Marko Djuric, attended the opening of a NIS gas station in Kosovo today, despite the fact he did not get permission to do so from Kosovo’s Ministry of Foreign Affairs. Djuric told Serbian media after the event that he is forced to travel through Kosovo now in an alternative way similar to how Kosovo’s Prime Minister, Isa Mustafa, did when he visited the town of Zvecane in the Mitrovica district of Kosovo two weeks ago to attend a ceremony for the opening of a bridge on the Bistrica river. "I don't think this is the way to contribute to normalisations of [Kosovo–Serbia] relations, but I'm a free man, Serbia is a free country. We know here [in Serbia] how to defend our freedom," Djuric told media. Kosovo’s Minister for Dialogue, Edita Tahiri, told media that the EU had been informed about the case and asked it to prohibit activities that oppose the spirit of the Brussels Agreement. he leader of Albania’s opposition Democratic Party, Lulzim Basha, asked for the resignation of Vangjush Dako, the mayor of the port city of Durres, in a press conference on Thursday. Basha claimed that Dako had offered gang leader Lulzim Berisha an administration job, which he said showed that the mayor chose to side with criminals instead of the citizens who had elected him. In the press conference, Basha also referred to an investigation by BIRN Albania’s Reporter.al, in which it was found that Dako had sent a letter to the judges in a case relating Berisha offering him an administration job in order to smooth his transition back into society. Prosecutors have also opened an investigation into the mayor’s practices based on Reporter.al’s report. Ahmed Moussa, an imam from the central Bulgarian city of Pazardjik, charged of spreading ISIS propaganda, has been setting up an illegal Islamist organisation in Bulgaria since 2008, a secret witness at the trial against Moussa claimed, the Bulgarian National Radio reported on Thursday. 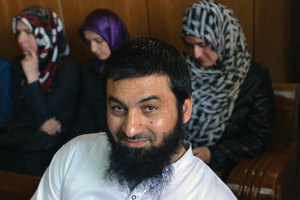 According to the secret witness, who testified against Moussa on Thursday, leaders of the illegal network were elected four years ago in the Ebu Bekir mosque in Pazardjk’s Roma neighbourhood. The witness claimed that the elected leaders have spread the ideas of ISIS across the country and that the Salafist preacher has been radicalised in Germany. The trial against Moussa will continue on January 19, 2017. 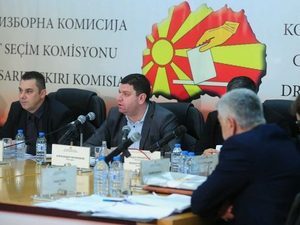 Amid fierce quarrels and with frequent stoppages, Macedonia's State Electoral Commission, DIK, today rejected several electoral complaints by the Albanian opposition BESA party about Sunday's vote. The DIK is set to continue working today and possibly tomorrow to decide upon several other complaints filed by BESA and by the main opposition Social Democrats. BESA and the Social Democrats insist there were irregularities in some areas that if corrected could tip the election outcome in their favour. The preliminary unofficial results suggest 49 MPs were elected for the opposition and 51 MPs for the main ruling VMRO DPMNE party, which says that the objections are unfounded. Outgoing US Secretary of State John Kerry has compared the besieged Syrian city of Aleppo to Srebrenica, the site of the 1995 genocide of more than 7,000 Bosnian Muslim men and boys by Bosnian Serb forces who overran the enclave. A man photographed standing near Russian Foreign Minister Sergey Lavrov this week in Serbia is wanted in Montenegro on suspicion he took part in an alleged coup plot to overthrow its pro-Western government, officials said Thursday, according to the Associated Press. The photos published by Serbian media show Nemanja Ristic standing close to Lavrov during a ceremony for Soviet soldiers who died during the liberation of Belgrade in 1944. Lavrov was in group photos with members of a far-right pro-Russian group to which Ristic belongs. 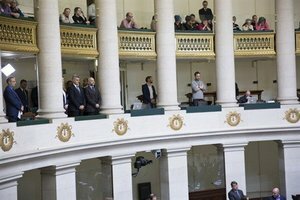 Bulgarian MPs have adopted a new anti-terror bill, giving sweeping powers to law-enforcement authorities, despite criticism from opponents and human rights groups. Read more. Serbia’s small Croatian community is divided over whether Zagreb should have made their educational grievances the reason for halting Serbia’s EU membership talks. Read more. Domagoj Margetic, the Croatian investigative journalist who was assaulted in Zagreb on Tuesday, said the 'atmosphere of hate' was partly responsible for such attacks. Read more. Ali Ahmeti, the leader of Macedonia’s largest ethnic Albanian party, the Democratic Union of Integration, DUI, had a series of meetings with Albania’s highest political representatives in Tirana on Thursday afternoon, including Albanian Prime Minister Edi Rama, the chairman of the Parliament, Ilir Meta, and the Albanian President Bujari Nishani. Ahmeti and his party’s 10 MPs that were elected in Macedonia’s near-tied general election on December 11 are seen as an important player in the formation of the new government. While in Tirana, he said that it was early to speak about coalitions and what was most important now was the stability of Macedonia. Meta and Nishani announced in press releases after their separate meetings with Ahmeti that Albanian MPs should contribute to the principles of the Ohrid peace agreement between Macedonians and ethnic Albanians. 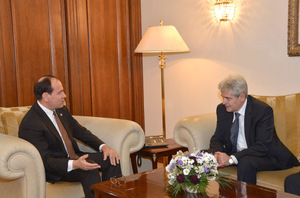 No statement was issued after Rama and foreign minister Ditmir Bushati met with Ahmeti. Macedonia’s former Prime Minister and ruling VMRO DPMNE party leader, Nikola Gruevski, appeared today in the Skopje Criminal Court to face trial for allegedly ordering an attack on an opposition mayor, Andrej Zernovski, and his municipality headquarters in 2013. Gruevski's then Transport Minister Mile Janakieski and former municipal councilor Daniela Rangelova also appeared in court. They, along with 11 other people, were indicted by the Special Prosecution for "incitement and carrying out a criminal act against public order". 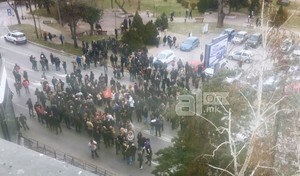 Several hundred supporters of Macedonia’s ruling VMRO DPMNE have already gathered in front of the headquarters of the State Electoral Commission, DIK, in central Skopje before it is expected to resume its deliberations on complaints filed by the opposition over the general election held on December 11. The DIK started its deliberations on the complaints on Thursday evening, but failed to finish them after thousands of VMRO DPMNE supporters massed outside the DIK’s HQ to, as they said, “guard” their party’s election victory. Two senior police officials from the police station in the Serb-led northern side of the ethnically divided Kosovo town of Mitrovica have been suspended for 48 hours over their failure to implement an order from the government to ban the Head of Serbia’s Office for Kosovo, Marko Djuric, who entered the area illegally on Thursday, a spokesperson from Kosovo Police in north Mitrovica, Besim Hoti, told BIRN. The suspended officials are Major Goran Zivkovic deputy commander of the police station, and Captain Milija Milosevic, the Chief of Operations. Hoti also stated that Kosovo Police’s Professional Standards Unit is expected to decide whether the suspension period should be extended. The Serbian parliament elected, on the proposal of Serbian President Tomislav Nikolic, Snezana Markovic, Milan Skulic, Miroslav Nikolic and Jovana Ciric as Constitutional Court judges, Belgrade-based television network N1 reported on Friday. The Serbian Assembly has also established a list of ten other candidates for Constitutional Court judges, which will be presented to the Nikolic, who has a right to choose five. Controversial Serbian businessman Bogoljub Karic is planning to return to Serbia before New Year’s Eve, despite still being wanted on an arrest warrant issued in 2006, Blic daily reported on Friday. According to Blic, Karic did not want to reveal the exact date of his intended return, but said he is not going to “make a theatre [show]” of his arrival. Karic has spent the last 11 years in Russia after leaving Serbia when the government started to investigate the “Mobtel” case, in which Karic was accused of siphoning off more than 60 million euros from the former mobile carrier Mobtel. Kosovo’s Ministry of Foreign Affairs sent a protest note to the EU on Friday over the visit by the head of the Serbian Office for Kosovo, Marko Djuric, to the town of Mitrovica as it had not been agreed with the ministry. "By coming to Kosovo, despite the ban [imposed on him in September], Djuric provoked institutions and security organs,” the ministry stated. “Illegal entry to Kosovo is against the agreement on mutual visits, which was reached in Brussels between Kosovo and Serbia." The ministry added that Djuric’s activities show the disappointing direction that the head of the Serbian Office for Kosovo has taken in his career. Djuric visited Kosovo on Thursday to open a new petrol station, but his visit was not approved by Kosovo’s Ministry of Foreign Affairs. Djuric managed to reach Mitrovica using an ambulance and two Kosovo police officials have been suspended for 48 hours over the incident. Macedonian judge Tatjana Mihajlova rejected on Friday the main evidence offered by the Special Prosecution in the case against former Prime Minister Nikola Gruevski and 13 other people who are indicted for ordering an attack on an opposition mayor and his municipality HQ in 2013. 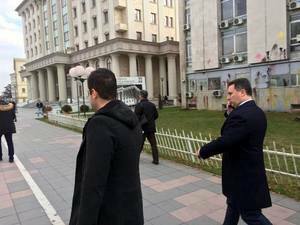 At the start of the trial in Skopje today, the court refused to allow a testimony of a witness with a concealed identity to be used as evidence, as well as the audio recordings of wiretapped conversations between Gruevski and others indictees. During the trial, all of the suspects declined to be photographed and did not give statements. The continuation of the trial has been scheduled for February 22. Supporters of Macedonia’s main ruling VMRO DPMNE party who have gathered in front of the headquarters of the State Electoral Commission in Skopje to, as they say, “guard” the party’s election victory, claim they have been too lenient towards the opposition over the past two-and-a-half years and that their patience is running out. “If they [the opposition] continue behaving like this, even if they win tomorrow on regular elections, we won’t let them govern. We have more masculine men than their transvestites, fags and perverted people,” one ruling party supporter told BIRN amid high tensions in front of the Electoral Commission’s building. The Commission has reconvened to finish its deliberation on the complaints filed by the opposition over Sunday’s general elections, which if supported by the Commission, could potentially shift the voting outcome in the opposition’s favour. Around 100 Kosovo Liberation Army veterans have gathered at the southern side of the bridge on the Ibar River in the ethnically divided Kosovo town of Mitrovica to show their opposition to the construction of a two-metre-high wall on the north side, which Serb authorities began building at the start of December. According to media reports, only four representatives of the veterans were allowed to cross the bridge to view the controversial wall, which Kosovo’s Ministry of Environment and Spatial Planning halted the construction of on December 8. While the Serb authorities claim that the wall has been erected in compliance with the law and as a part of renovations to the town’s main pedestrian zone, Albanians see its construction as a provocation from the Serbian side and a violation of the Brussels Agreement. 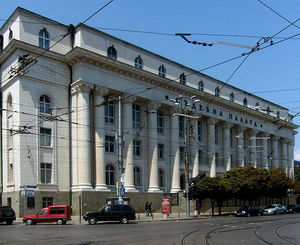 The Bulgarian prosecution has launched an investigation against the Ministry of Foreign Affairs, it announced on Friday. 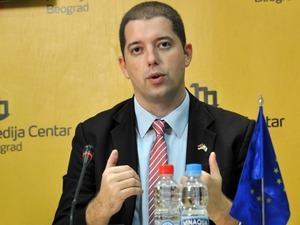 Employees from the ministry are under investigation for abuse of office after Bulgarian Socialist Party MP Kristian Vigenin accused them of fraud related to public procurement of equipment for several Bulgarian embassies. The European Commission is mulling changing the Cooperation and Verification Mechanism, CVM, that monitors Bulgaria’s progress in reforming the judiciary and its fight against corruption, outgoing Bulgarian Prime Minister Boyko Borissov announced on Friday via the government’s press service. His announcement comes after a meeting with the Vice-President of the European Commission, Frans Timmermans, on Thursday evening. 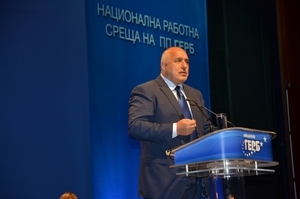 According to Borissov, the verification mechanism will be applied to various elements of the judicial system, such as the prosecution and judges. Bulgaria and Romania are the only EU countries under the CVM and their next progress report is expected in January 2017. 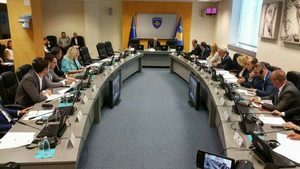 Kosovo Prime Minister Isa Mustafa dismissed the Minister of Local Government, Ljubomir Maric, on Friday and replaced him with Mirjana Jevtic, who was the Deputy Minister of Labour and Social Welfare. “These decisions were taken by the proposal and in consultation with [ethnic Serbian junior partner in the coalition government] Srpska Lista representatives,” the Prime Minister’s Office said. Maric is the second minister to be dismissed during this term from the ranks of Srpska Lista. The first was Aleksandar Jablanovic, who was fired in February 2015 after describing Kosovo Albanians who were demonstrating against pilgrims visiting a church in western Kosovo as “savages”, causing widespread anger.